The air buzzes with excitement. Ava pats the dough and we’re on our way to Macedonian pizza (Pastrmajlija), an addicting combination of diced pork, olive oil, and cracked eggs. 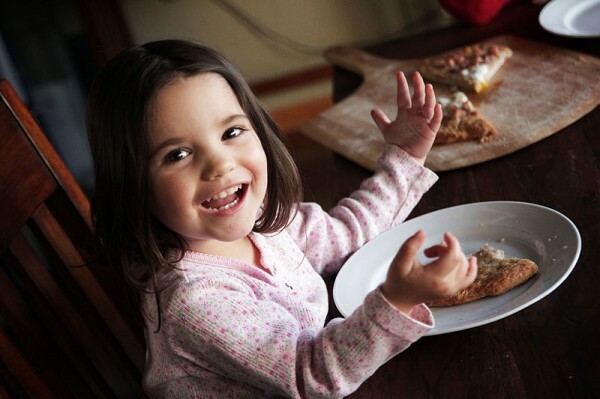 Together, her little hands next to my big hands, we shape the pizza two ways -first in a traditional full-moon circle and then in a Valentine’s-inspired heart. While some might say the shapes taste the same, I beg to differ. Anything heart-shaped tastes infinitely better than that same thing not heart-shaped. Dressed up in a dusting of black pepper, the pork sizzles in the oven and turns slightly golden. 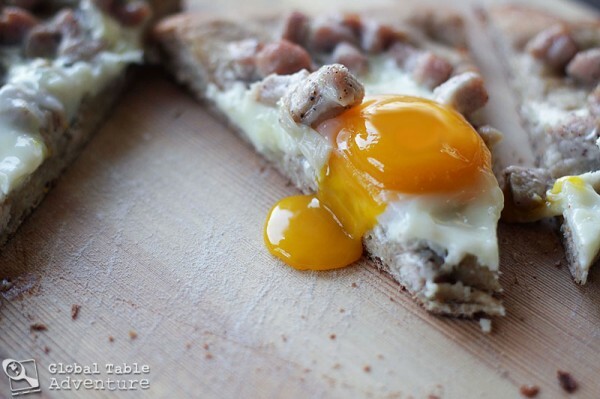 The rich, golden yolk makes the entire pizza taste like a dreamy breakfast. Simple to make and yet so full of flavor. 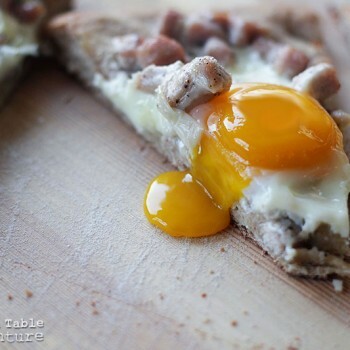 Also, you may wish to scramble the egg before pouring it over the pizza, an alternate preparation popular in Macedonia. As for the fat used, I used olive oil which is generally popular in the area, but some locals like to dot this pizza with lard instead, lending the pizza a much more indulgent quality. The choice is yours. 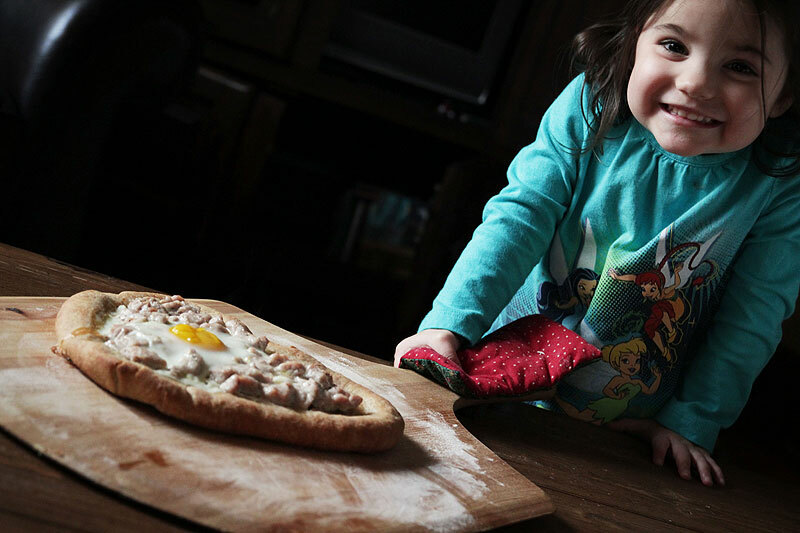 Prepare homemade pita dough. 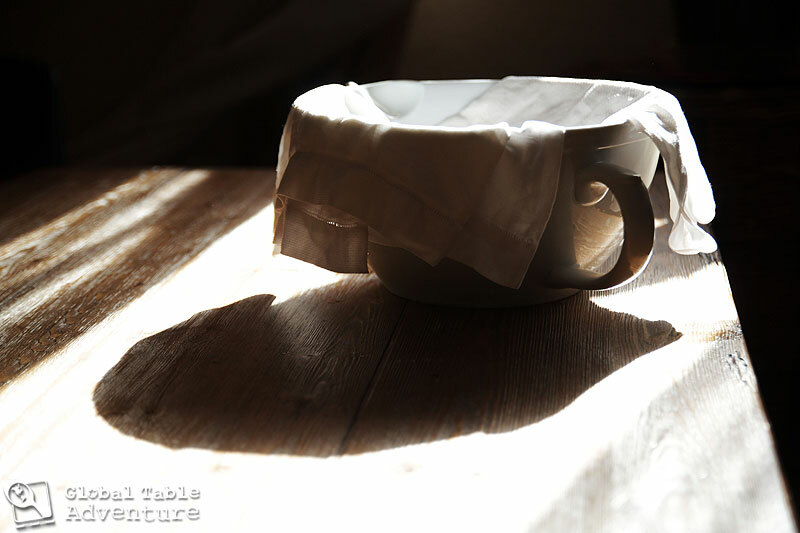 Cover with a moist cloth and let the dough rest in a warm, sunny spot until doubled in volume, about 1 1/2 – 2 hours. Meanwhile, go row a boat on still morning in Macedonia. Listen to the water lap the sides of your boat. Daydream. Soak up the sun. Why not? This is stove top travel. This is your chance to imagine. 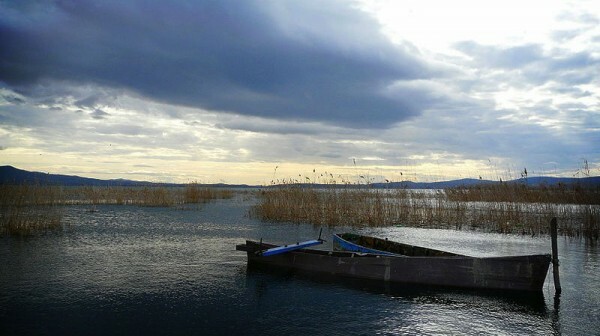 Lake Dojran, Macedonia. Photo by Ksenija Putilin. When you get home, place a pizza stone in the oven and preheat it to 400F. If you don’t have a pizza stone, just bake the pizza on a sheet pan (cooking times may vary, though). 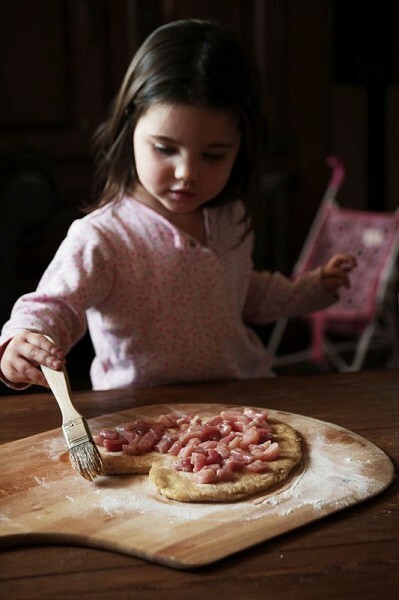 Divide dough into two pieces. 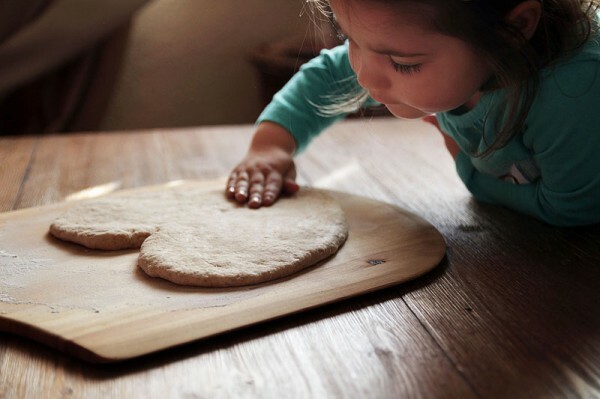 Roll them into hearts, circles, whatever shape suits your fancy – dusting with flour to prevent sticking, if necessary. Press down with your hand to create a lip around the edge, so the egg doesn’t roll off later. Meanwhile, dice the pork chop. This large, butterflied chop easily covered the two pizzas. 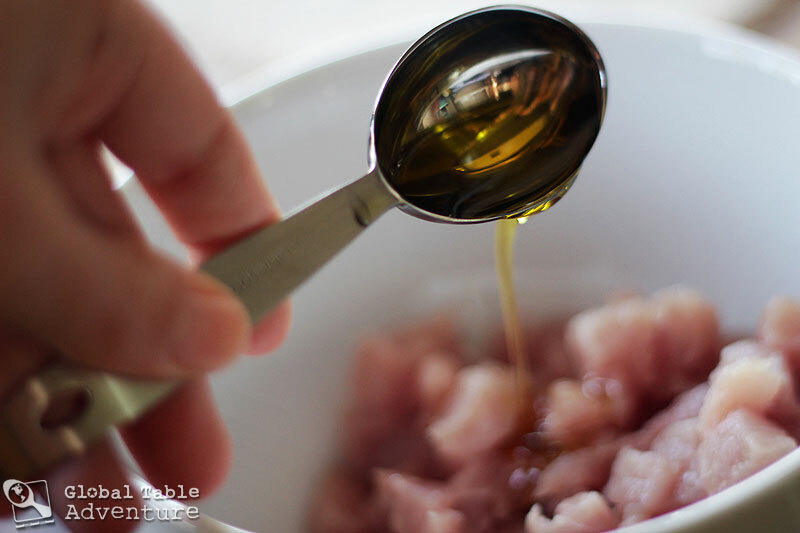 Toss the diced pork with olive oil, salt and pepper. Brush crust with a glistening coat of olive oil. Then we brushed it again with olive oil, before returning to oven. Ava was proud of her handiwork. Natural stone “dolls” in Macedonia. Photo by Rašo. They look like pretty good dining companions to me. Traditional Pastrmajlija is made with pork smoked in a "pusnici" during the cool winter months. 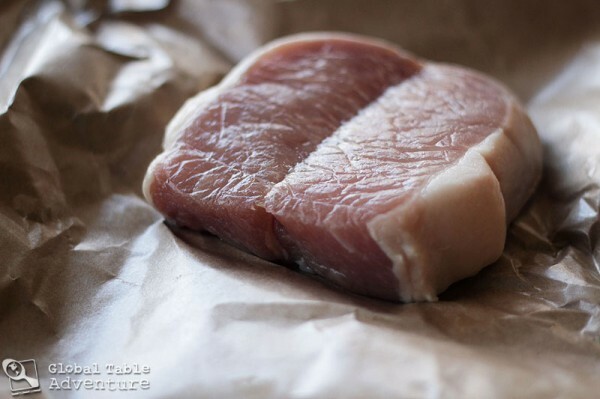 Since I lacked access to the traditional method, I used fresh pork. Seek out smoked meats, however, if you can! Cover with a moist cloth and let the dough rest in a warm, sunny spot until doubled in volume, about 1 1/2 - 2 hours. Place a pizza stone in the oven and preheat it to 400F. 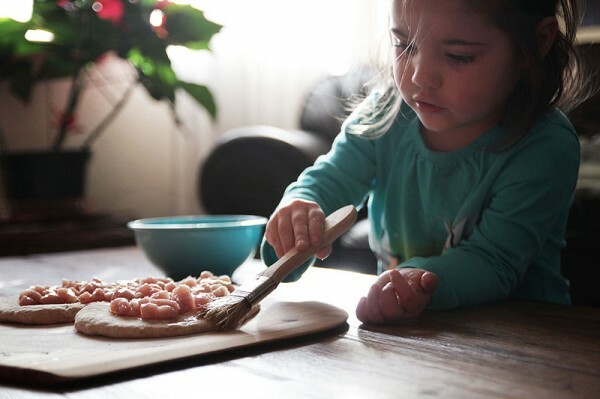 If you don't have a pizza stone, just bake the pizza on a sheet pan (cooking times may vary, though). 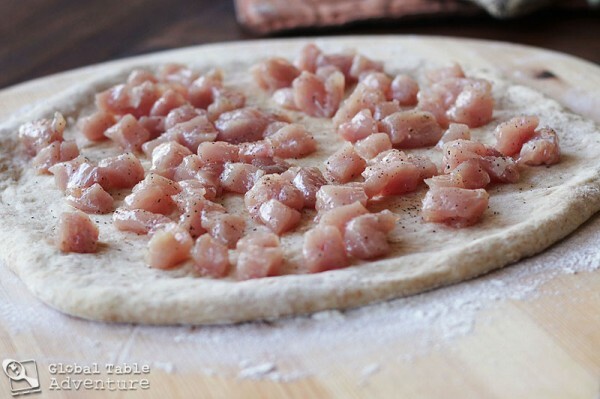 Divide dough into two pieces. Roll them into hearts, circles, whatever shape suits your fancy - dusting with flour to prevent sticking, if necessary. Press down with your hand to create a lip around the edge, so the egg doesn't roll off later. Mmm … that looks so good! It’s very similar to a Cypriot recipe I’ve had before, which uses ground lamb instead of the pork. Want to try this version now! 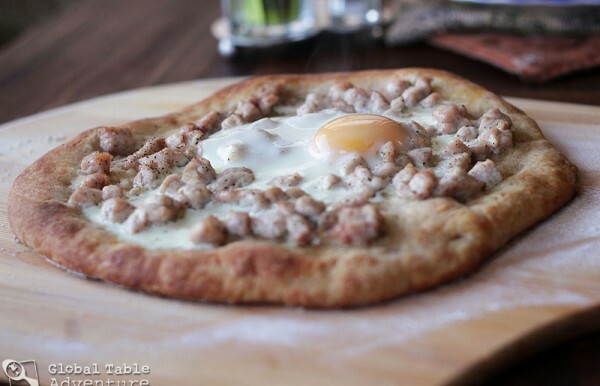 Oh, and now I want to try the Cypriot version… thanks for a great idea! 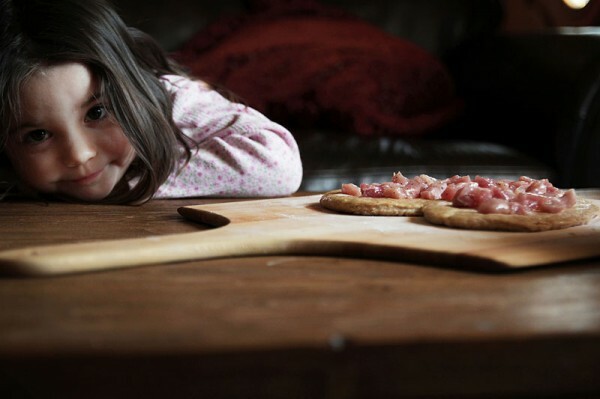 That picture of your daughter smiling down next to the pizza peel is beyond adorable! Looks delicious, I’ll have to try this! I have to ask: Did you actually change Ava’s clothes mid-process to make them match the blue bowl of olive oil and the pink toy stroller, respectively? Or was there just a little accident somewhere in between? Hi I’m Devid and i’m from Kratovo Macedonia. This is not a real pastramajlija. 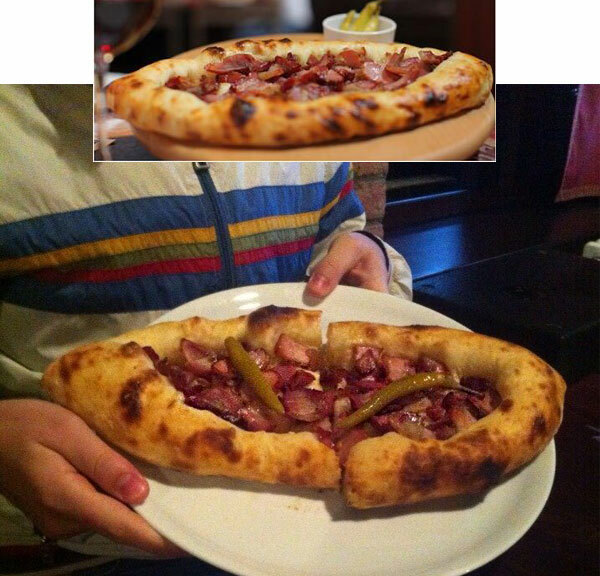 Plesea sent me your e-mail to send u picture from REAL PASTRAMAJLIJA. 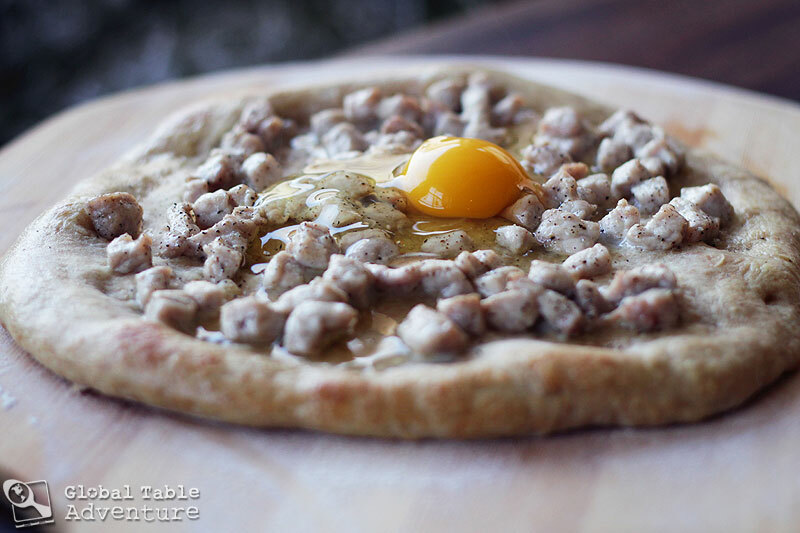 I look forward to cook this pizza, but this is a recipe from FYROM not from Macedonia! 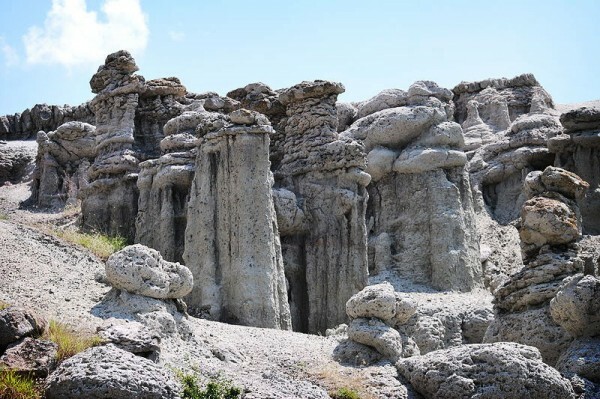 Next time, if you want to taste the true flavour of Macedonia try: baked beans (tavche gravche), cheese and leeks pie (pita) or cabbage stew (podvarok). If you want to know how to make these, email me on [email protected].